The Technical Confluences Indicator shows that cable enjoys significant support around 1.2920 where we see a dense cluster including the Fibonacci 38.2% one-month, the Friday's low, the Pivot Point one-day Support 1, the Fibonacci 23.6% one-week, and the Bollinger Band 1h-Lower. 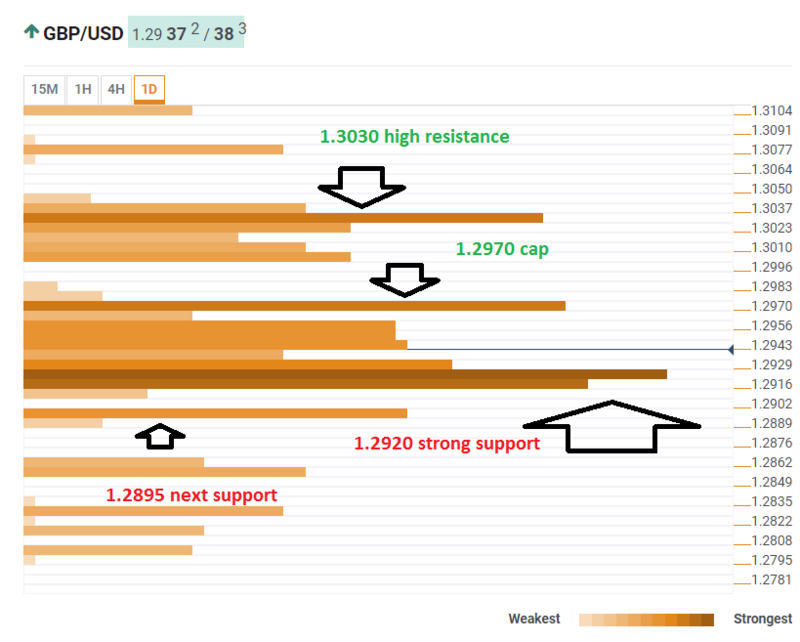 Resistance is weaker than support and found at 1.2970. It is the convergence of the SMA 5-1d, the BB 1h-Upper, and the PP one-day R1.